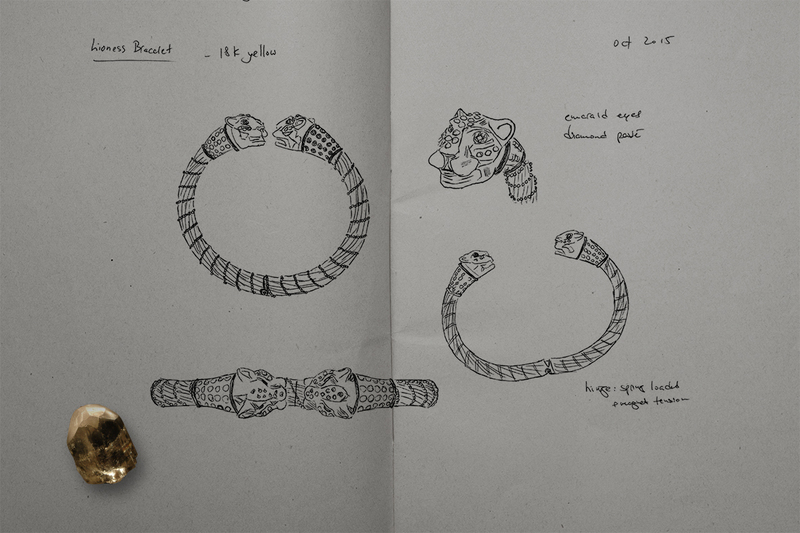 T his bracelet features two lioness heads with emerald eyes and collars of diamonds, crowning a gold rope bangle. This classic piece draws inspiration from ancient Greek and Scythian artisans, producers of some of the most exquisite gold artifacts in the history of humankind. In the more recent past, the fabled firm of Faberge created a similar rendition, winning the Gold Medal at the exhibition in Nuremberg (1885) and attracting the attention of Tsar Alexander III. 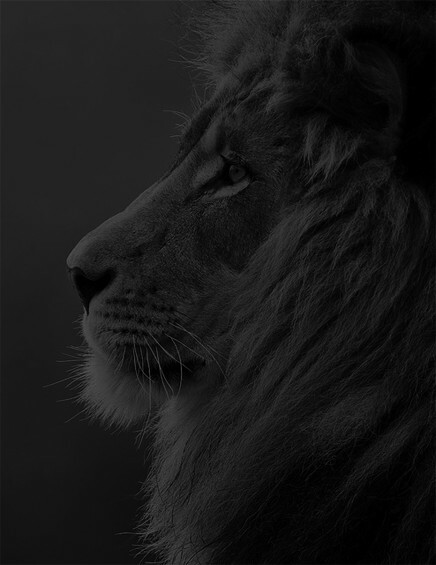 L ions have been a recognizable symbol of strength, dominance, and nobility for thousands of years. 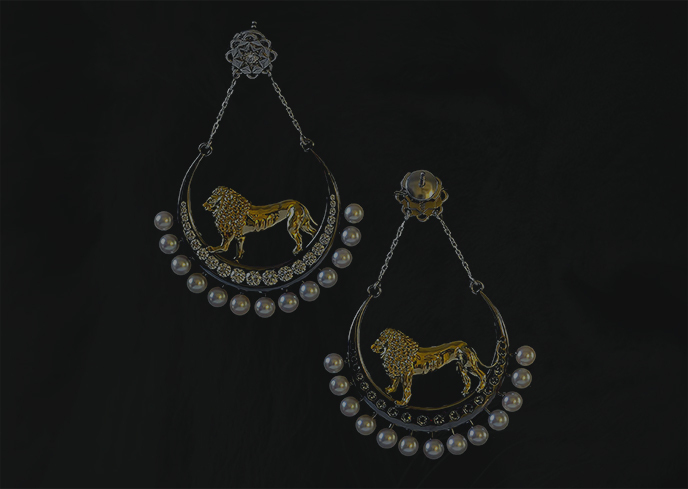 In this latest Volund collection, the lions look calmly upon the wearer, bestowing upon them their grace and status. In addition to animal symbolism, alchemical influences permeate this collection. 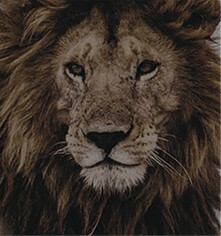 Alchemists often used both feminine and masculine aspects of the lion family as symbols – the lion and the lioness. Together, these represent the duality of nature: strength and yielding, power and creed, acid and base. 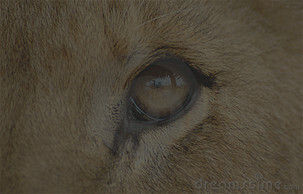 Lions also symbolize rejuvenation. 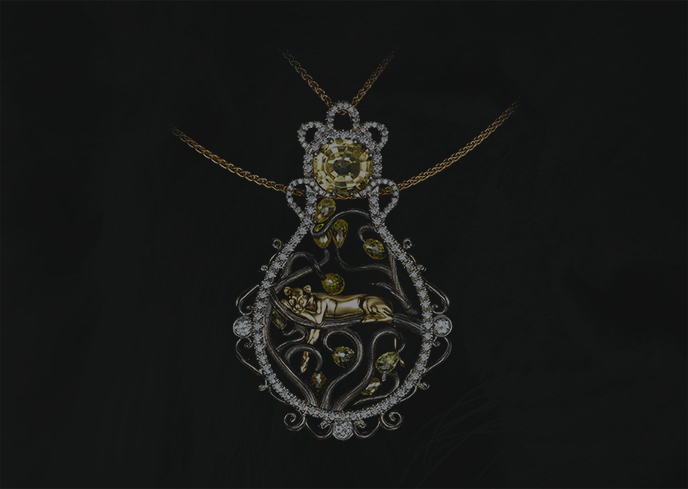 The jewelled pieces with their precious metals and stones represent this final stage of purification – perfection of nature through skilled artistry.